It seems like there is a movement of responsible consumerism from what we eat to what we wear and part of that is knowing where it comes from and how it was made. And for clothes, the slow fashion movement is on the rise, not buying into trends and brands but rather quality and longevity. Without getting into too much detail, it promotes fair wages and less waste. I definitely want to be part of this slow fashion movement for all the good reasons, however, my problem with it is that it comes with an expensive price tag. I do believe in paying for good quality goods, but having three young kids that need new clothes every season, this is not a realistic situation for our family. We simply don't have money for slow fashion, although I believe in the cause. So, my solution to this is relying on hand-me downs and second hand stores or "vintage" stores. We've been extremely blessed to have a few friends that pass down their children's clothes to us that I hardly buy new clothes for my kids. We also receive generous gifts time to time from family and friends. 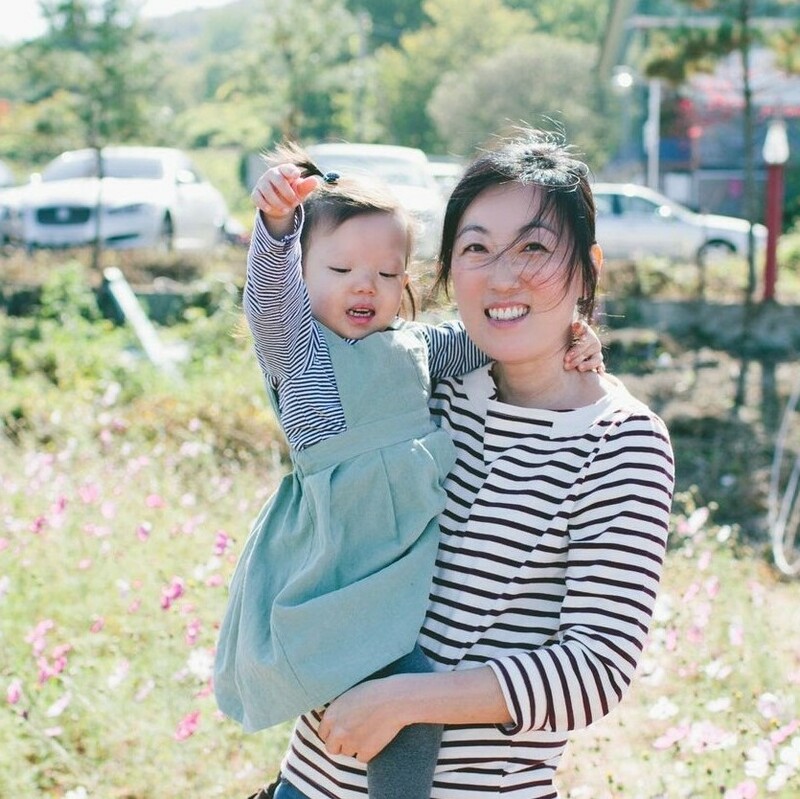 Since my kids clothes are taken care of for the most part, I want to share about several second-hand markets where I go to shop for my own clothes in Seoul. The reason I love these markets is that there is so much more to see and experience while you shop. One tip before you head over to these markets is that you need to give yourself enough time to search for goods. They usually don't have things in order and have stuff piled up, even on the floor, so be ready to sit and dig for treasures. I also recommend carrying cash since some vendors do not accept credit cards. near Sinseol-dong Station exit 9. This indoor market might have everything you might be looking for and more from bags, clothes, instruments, old music records, books, potteries to furniture. The market is considered Seoul's future heritage site where you can experience a traditional Korean flea market scene. There is an outdoor market with various activities and events on weekends. The indoor market is sectioned by a color system to help people easily navigate. For example, the red section is where the restaurants are, orange and light blue sections are where you want to go for clothes, and the green section is mostly potteries and traditional items etc. Don't be surprised if the prices are not as cheap as you might have expected. Some vendors sell new items as well as real antiques. If you have time, I do recommend wandering around, but it might be helpful to have a map of the market so you don't miss out on a particular section that you definitely want to see. There is section called youth theme zone (청춘1번가 테마존) on the second floor that I recommend for you to check out. 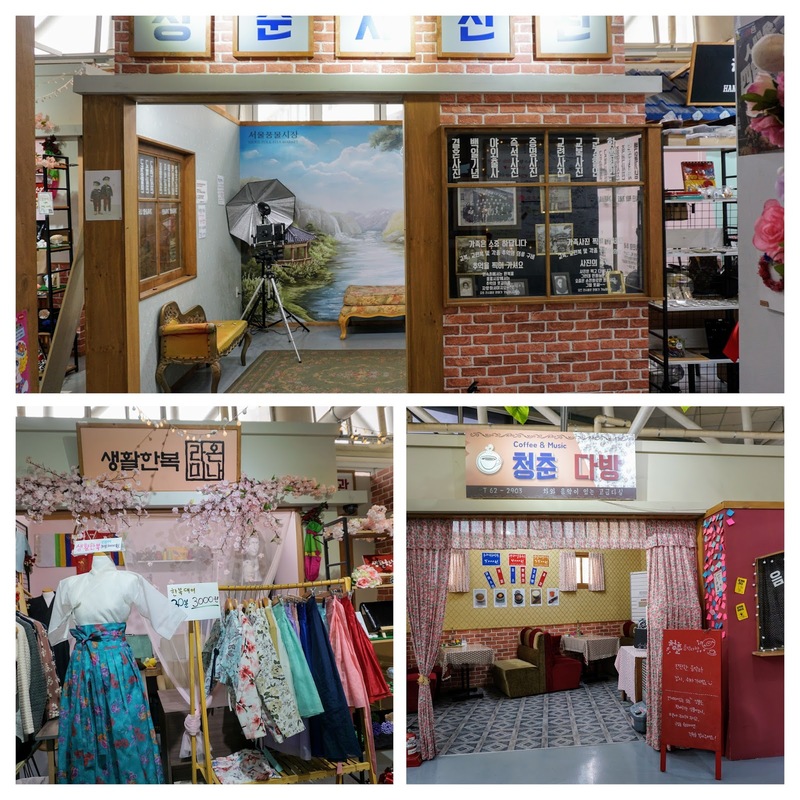 There are real stores such as barber shop, coffee shop, and photo studio where you can rent old school uniforms and take pictures that are set up like the 70's. near Dongmyo Station exit 3. 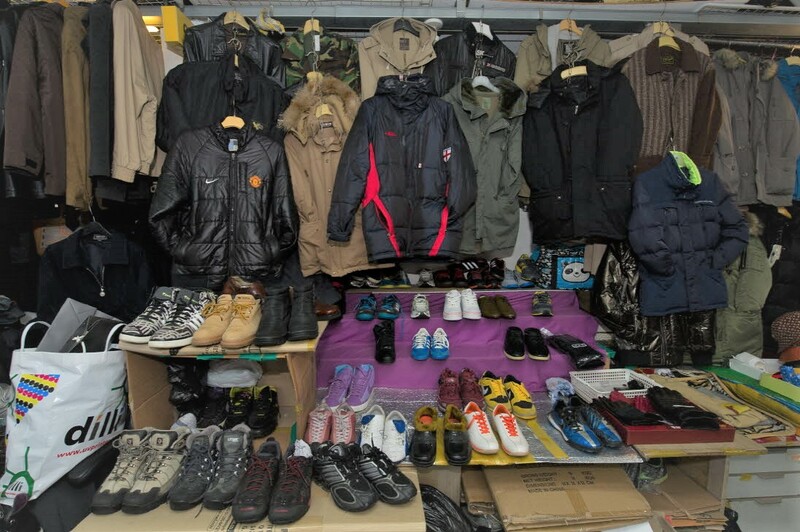 To me Dongmyo is more of a true Korean flea market where the older generation still go to shop and hangout. 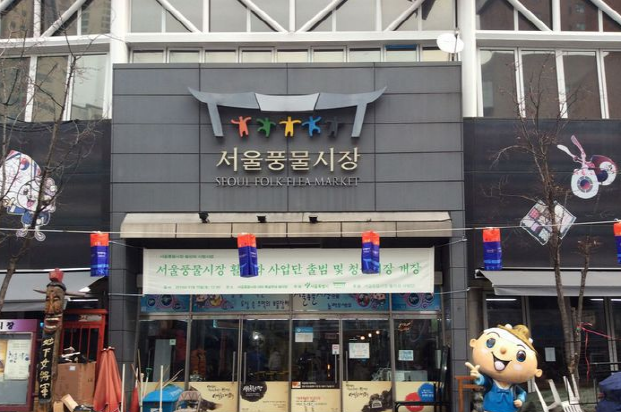 Don't be alarmed if you get a sniff of pungent cooked silkworms (번데기) while walking around here. 😅 All the stores still have old signs from the 80's and they sell used goods from anything and everything between clothes, tools, books, bikes, furniture, cookware, to cassette tapes and records. This market is well known for vendors that set up mats and have mountains of clothes on the floor for real cheap. Ahjummas and halahbuhjies digging through the piles of clothes or books is a common scene here. There are also real vintage items like old Burberry trench coats that are a little more pricey. I highly recommend this place if you are looking for Levis jean jackets, jeans, and leather jackets that go for 15,000-40,000 won. The stores are open by 10AM, but street vendors usually don't set up until 2PM. near Jongro 5ga Station exit 11. As soon as you come out of exit 11, there is a Gwangjang Market entrance on your left. Go into the market and flea market is located on the second floor on your right at the intersection. This is my favorite place because items are curated by the vendors. Most vendors are extremely friendly and you are allowed to try the items on before buying and you can even bargain here. I highly recommend this place for jeans, Hawaiian shirts, jackets, dresses, sweaters, shoes, bags... yes, pretty much everything that you might need is here. One shopping tip would be never buy the first thing you like. Look around and come back for it if you decide you want to buy it. Prices ranges from 10,000- 45,000 won. This is what the entrance from Jongro 5ga Station exit 11 looks like. If you get lost, no worries! There are tourist guides in red uniforms that can assist you. Kelli trying on a dress... do you think she bought this dress or no? 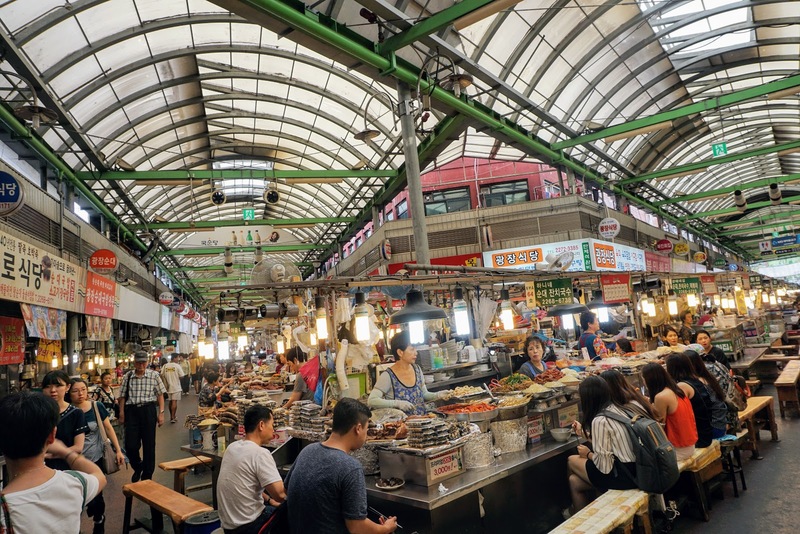 After shopping, come back down to experience the fullness of Gwangjang Market. This is one of the oldest traditional markets in Seoul that is famous for various street food, hanboks, blankets, and other general goods. Gwangjang Market is not just my favorite place to shop, but also one of my favorite places to hang out with friends. Their vintage section gets smaller every time I visit, but it's one place I stop by every time I am in the area regardless. 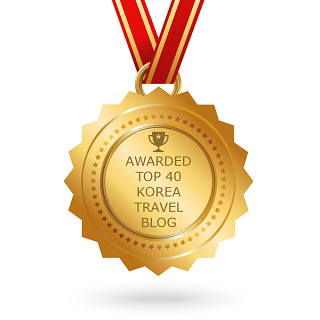 Most of their items are priced between 10,000 won to 29,000 won. 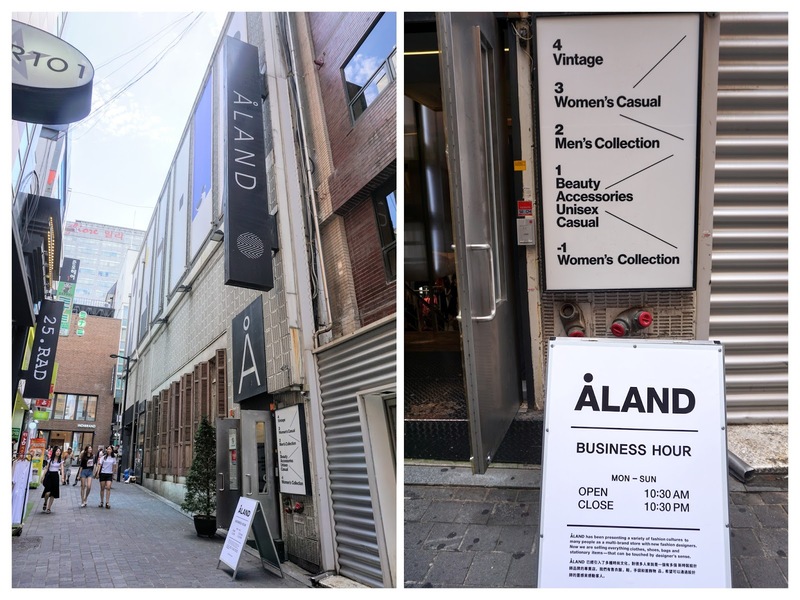 Myeongdong is one of the popular spots for shopping in Seoul, so make the most of your trip and enjoy all the unique fun shops and street food that Myeondong has to offer. 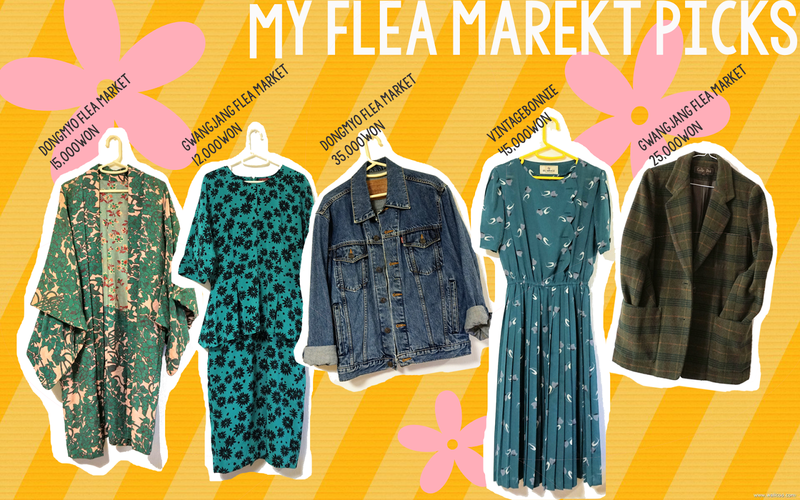 Visiting these second-hand flea markets make me feel like I am going on a treasure hunt and I love it when I find something amazing! Makes all the walking, searching, and digging worth it.